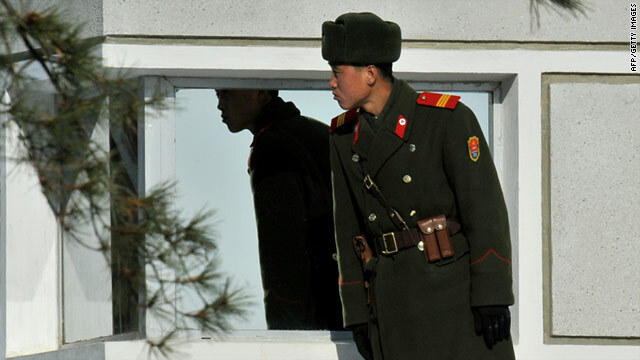 A North Korean soldier stands guard in the Demilitarized Zone separating the two Koreas on January 19, 2011. South Korea also would like to hold talks on denuclearization. The North has not agreed to them. (CNN) -- North and South Korea have agreed to hold working-level military talks at the truce village of Panmunjom next week, the Ministry of Defense said Tuesday. In the talks, scheduled for February 8, the South will demand that Pyongyang take responsibility for last year's military provocations, the ministry said last month. Higher-level military talks will only be held if the North promises to refrain from further provocations. The Seoul government also has proposed holding inter-Korean talks between high-ranking government officials to discuss denuclearization, something the North has not yet agreed to. North Korea cut off direct contact with the South on May 26 to protest Seoul's response to the March sinking of a South Korean naval ship. South Korea has blamed North Korea for the attack, which killed 46 sailors. Pyongyang denies any involvement in the sinking of the Cheonan. Tensions rose again in November, when North Korea shelled South Korea's Yeonpyeong Island, killing two South Korean marines and two civilians. North Korea said the strike was in response to the South's navy firing into Northern waters.